SUPER SUMMER SATURDAYS with a vintage twist. 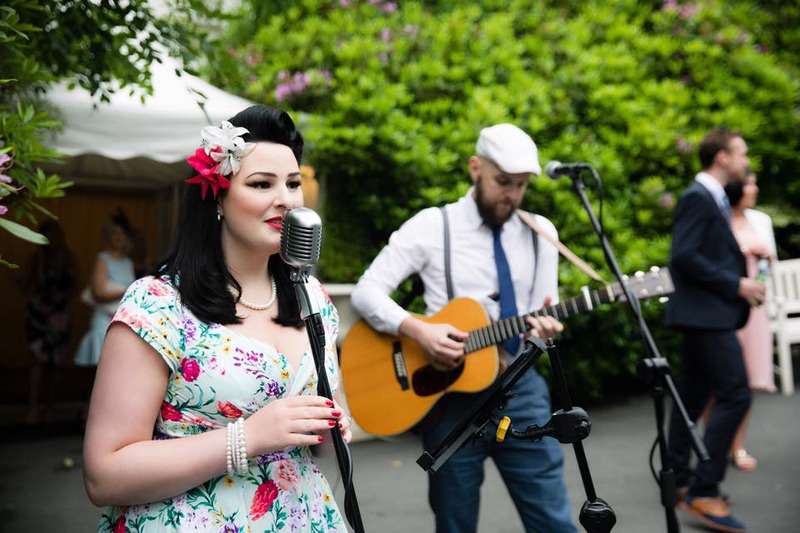 With almost a decade of gigging experience combined, and a passion for playing the music of yesteryear, Brandy Jacks acoustic duo are a perfect choice for a summer afternoon, providing professionalism, talent, and a touch of class. Together they share adoration for all things vintage, not only from the way they present themselves, but in every aspect of their lives. Brandy Jacks specialise in Blues, Jazz, 50’s Rock ‘n’ Roll and Motown, but add an authentic twist to every song.